I just realized that Kymirus is kind of a shrewd politician, not as good as Momo, but pretty good nonetheless. 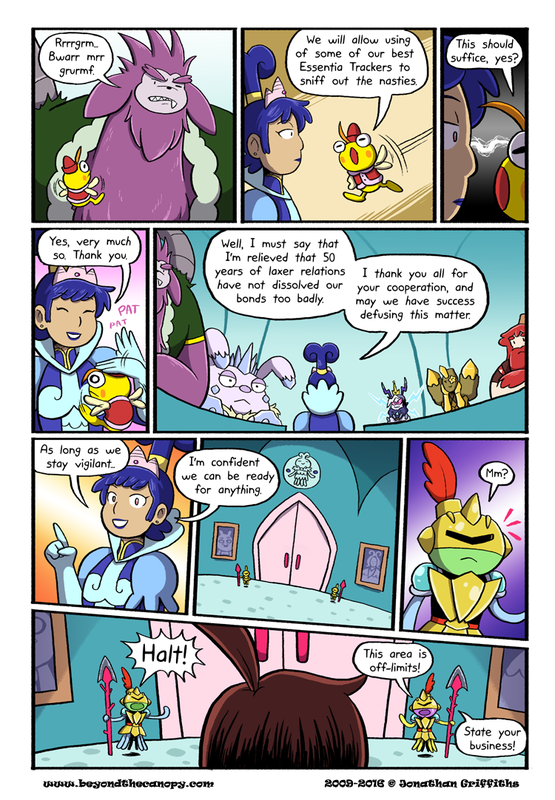 Last panel, is that this guy from Quest 64? Look, an antenna boy! They’re always protagonists. Something tells me while Kymirrus’s translator or whatever is a good diplomat, he rarely gets the proper point across.